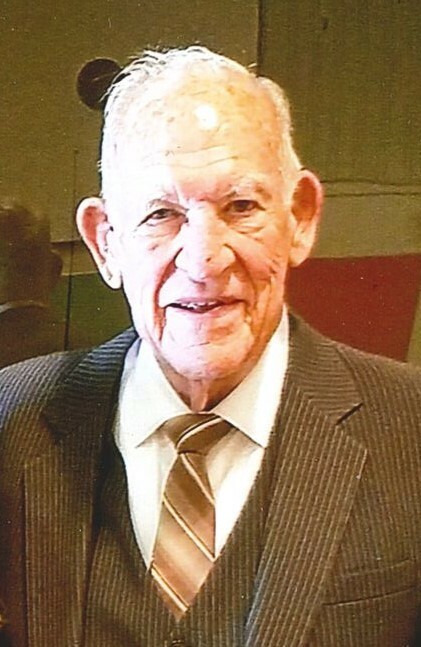 Joseph Schuman Jr., age 94 of Cardington died Monday, July 30, 2018 at home. He was born on April 8, 1924 to the late Joseph Schuman Sr. and Madolin (Brooks) Blank. Joseph was a WWII Veteran serving in the United States Navy. He owned and operated Marion Rental for 15 years and would later work for General Motors as a service manager. Joe loved wood working, working in the garden, telling stories and playing golf. He had a passion for teaching Bible class at the Richland Road Church of Christ where he was an Elder and sharing Gods word with people in their homes. On September 16, 1944, Joseph married Mary (Nehus) in Georgetown, Ohio. Mary preceded Joseph in death October 29, 2012. Joseph is survived by two children; Steven (Teresa) Schuman of Mt. Gilead and Susan (Dean) Melcher of Miamisburg; three siblings; Mary Jane Robinson of Hot Springs, Ak., Lillie Rice of Higgensport, and Sandy (Roger) Newton of Mason; seven grandchildren and fourteen great-grandchildren. In addition to his wife and parents, Joseph was preceded in death by a son Randall Schuman; and five siblings Bill and Paul Schuman, Evelyn Inskeep, Betty Crum, and Jean Denniston. Friends may call on Friday, August 3, 2018 from 6:00 to 8:00 pm at Gompf Funeral Home, 440 Center Street in Cardington. The funeral service will be held Saturday, August 4, 2018 at the funeral home at 10:00 am with Minister Russell Howard officiating. Following the service, burial will take place in the Glendale Cemetery. Those wishing to share a memory of Joseph or to express a condolence to the Schuman family may do so by visiting www.gompffh.com.